In State v. Chambers, the WA Court of Appeals decided (1) the police’s “protective sweep” of the defendant’s home was improper because the defendant was arrested outside his home and the officers did not have specific facts that other armed individuals might be inside the defendant’s home, and (2) the defendant’s 3.5 Motion to Suppress statements made to police was rightfully denied because police scrupulously honored the defendant’s Fifth Amendment invocation of his right to remain silent. In this case, defendant Lovett Chambers was drinking at the Feedback Lounge, a neighborhood bar in West Seattle that he frequented. Chambers was a convicted felon of African-American descent who moved to Seattle in 1989, worked in the construction industry, obtained degrees in computer science and started an IT business. In 1992, he got married and later purchased a house in West Seattle with his wife. A few years later, Chambers asked his wife to buy him a Colt .45 caliber semiautomatic handgun. She did so, apparently unaware that he was a convicted felon. On the night of the incident, Mr. Chambers had numerous drinks at the Feedback Lounge. He carried and concealed his .45 pistol. At some point, two Caucasian men entered the bar and began drinking. The gentlemen did not know Mr. Chambers. Later, all of the gentlemen departed the bar simultaneously and walked to their respective vehicles which were parked nearby each other in the parking lot. For reasons unknown, words were exchanged between Chambers and the two gentlemen, who apparently uttered racial epitaphs to each other, Mr. Chambers, or both. One of the gentleman – Michael Travis Hood – pulled a shovel from his vehicle; apparently to defend himself from Mr. Chambers. However, Chambers shot Mr. Hood three times with his .45 pistol. Chambers walked away, got into his car and drove home in his BMW. Mr. Hood died from lethal gunshot wounds to his back. Seattle police arrested Chambers at his home at 10:49 p.m. Officer Belgarde read Chambers his Miranda rights at 10:51 p.m. Chambers smelled of alcohol. He was “swaying,” had trouble balancing, slurred his words, and was argumentative. Officer Galbraith drove Chambers to the precinct. Officers obtained a warrant to search Chambers’ home and seized a loaded .45 caliber handgun, a spare magazine, and the BMW keys. The police impounded the BMW. Later, officers interrogated Chambers and obtained numerous incriminating statements regarding the shooting. The State charged Chambers with murder in the second degree of Hood while armed with a deadly weapon. Chambers asserted a claim of self-defense. Before trial, Chambers filed a CrR 3.6 motion to suppress the evidence seized from his house and the statements he made. The court denied the motion to suppress the evidence seized from the house. The court concluded the police “were authorized to enter the house to conduct a protective sweep to ensure their safety.” The court also denied the motion to suppress Chambers’ statements to police and reasoned his “right to remain silent was scrupulously honored” under Michigan v. Mosley. The jury found Chambers guilty of the lesser-included offense of manslaughter in the first degree. By special verdict, the jury found Chambers was armed with a firearm at the time he committed the crime. The court imposed the low-end standard range sentence of 78 months plus the mandatory consecutive 60-month firearm enhancement. Chambers appealed. Evidence Seized from the House Was Obtained Through a Unlawfully Conducted “Protective Sweep,” However, The Trial Court’s Decision to Deny Chambers’ Suppression Motion Was Harmless Error. Chambers contends the court erred in denying his motion to suppress the evidence the police seized from his house: the Colt .45, a magazine clip with .45 caliber bullets, and the keys to the BMW. The Court of Appeals reasoned that the Fourth Amendment to the United States Constitution and article I, section 7 of the Washington Constitution prohibit a warrantless search and seizure unless the State demonstrates that one of the narrow exceptions to the warrant requirement applies. One recognized exception to the warrant requirement is a “protective sweep” of the home. The court further reasoned that under Maryland v. Buie the U.S. Supreme Court describes a protective sweep as a limited cursory search incident to arrest and conducted to protect the safety of police officers or others. The Court of Appeals decided the trial court erred in concluding the police had the authority to conduct a protective sweep of Chambers’ house. 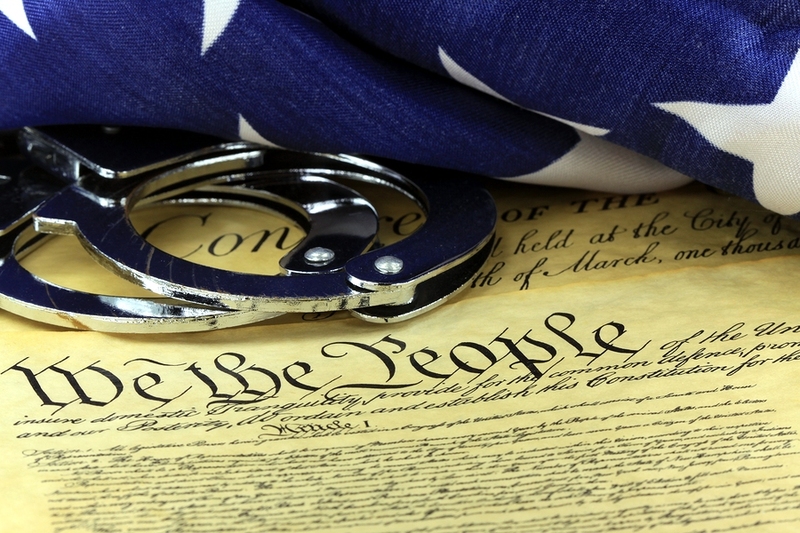 First, a warrantless search of “spaces immediately adjoining the place of arrest” without probable cause or reasonable suspicion does not apply when the police arrest an individual outside his home. However, the Court of Appeals also ruled that the verdict would have been the same absent the trial court’s error. Chambers testified he acted in self-defense when he shot Hood with the Colt .45. Chambers admitted that he parked his BMW in front of the Beveridge Place Pub on January 21, that he kept a .45 caliber gun under the passenger seat of the BMW, and that he used the Colt .45 to shoot Hood near Morgan Junction Park. For these reasons, the trial court’s decision to deny Chamber’s motion to suppress was harmless error. 2. Chamber’s Incriminating Statements Are Admissible. 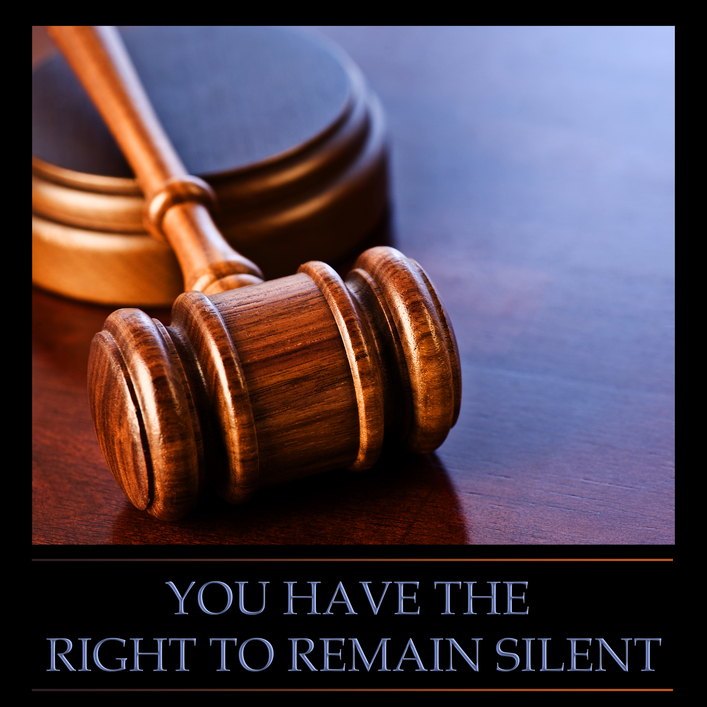 That he has the right to remain silent, that anything he says can be used against him in a court of law, that he has the right to the presence of an attorney, and that if he cannot afford an attorney one will be appointed for him prior to any questioning if he so desires. Here, the Court of Appeals decided that because the circumstances leading up to the police’s interview with Chambers show the police scrupulously honored Chambers’ right to cut off questioning, the court did not err in denying the motion to suppress the statements Chambers made. The Court of Appeals reasoned that the record shows the police advised Chambers of his Miranda rights at 10:51 p.m. when he was arrested on January 21. Chambers stated he understood his rights and unequivocally said he did not want to talk to the police. The record establishes the police did not “ask the defendant any questions or persist in repeated efforts to wear him down or change his mind after he invoked his rights.” After he invoked his right to remain silent at 10:51 p.m. on January 21, the police did not question Chambers while at police headquarters. And while driving to Harborview to obtain a blood draw at 3:07 a.m. on January 22, the detectives did not ask Chambers any questions. Nonetheless, on the way to Harborview, Chambers said he did not want to talk about what happened. While at Harborview, Chambers seemed to have “sobered up.” When they left Harborview approximately 45 minutes later, Detective Steiger advised Chambers of his Miranda rights again. Chambers stated he understood his rights and did not invoke the right to remain silent. With that, the Court of Appeals concluded the undisputed facts support the conclusion that the right to cut off questioning was scrupulously honored. The Court affirmed the jury verdict. My opinion? The police should have advised Mr. Chambers of his Ferrier warnings, a topic which I have blogged many times. Ferrier warnings must be given if police officers seek to enter the home to conduct a warrantless search for evidence of a crime or contraband. Still, even if Ferrier warnings were given and Mr. Chambers denied the police entry into his home, his incriminating statements to police ultimately assigned harmless error to the unlawful search. In State v. Linder, the WA Court of Appeals Division III decided that evidence obtained pursuant to a search warrant was properly suppressed because the officer’s inventory of the search was not conducted with at least one witness. Here, Defendant Aaron Linder was arrested by Kalama Police Chief Grant Gibson in March 2013 for driving with a suspended license. During the search incident to arrest, Chief Gibson found a small tin box inside the pocket of Mr. Linder’s hoodie. After being informed of his Miranda rights, Mr. Linder admitted being a daily user of hard drugs and that the tin box contained drug paraphernalia. But he refused to give his consent for Chief Gibson to open the box initially, and refused a second time at the police station. The police obtained a search warrant. Sergeant Parker, without anyone else present, executed the warrant by opening the metal box and photographing and inventorying its contents. It was typical for the department’s night shift officer to work alone. The Kalama police department has a total of only five sworn officers. Sergeant Parker inventoried the tin box as containing two pieces of aluminum foil, an empty plastic box, two plastic tubes, a hair pin, a safety pin, and a piece of plastic from a cigarette package. The cigarette wrapper contained a crystalline substance that appeared to be methamphetamine. After he finished the inventory and completed the return of service form, Sergeant Parker placed the items, a copy of his report, and a note for Chief Gibson in a temporary evidence locker. The next morning, Chief Gibson, also acting alone, verified that the contents in the box matched Sergeant Parker’s inventory and field tested a small quantity of the cellophane wrapper and its contents, which tested positive for methamphetamine. He packaged the remainder of the crystalline substance for submission to the crime laboratory. Mr. Linder was thereafter charged with one count of Violation of the Uniform Controlled Substances Act, Chapter 69.50 RCW, for possession of methamphetamine. Before trial, Mr. Linder moved to suppress the evidence found in the tin box on the grounds that it was searched in violation of CrR 2.3( d). The rule provides that a return of the search warrant shall be made promptly, shall be accompanied by a written inventory of any property taken, and-relevant here-that “the inventory shall be made in the presence of the person from whose possession or premises the property is taken, or in the presence of at least one person other than the officer.” In the suppression hearing that followed, both Sergeant Parker and Chief Gibson testified that they were unaware of the rule’s requirement that the inventory be made in the presence of another person. The trial court granted Mr. Linder’s motion to suppress. The State appealed. In reaching its decision, the WA Court of Appeals looked to the Exclusionary Rule In considering whether the contraband should be suppressed. For those who don’t know, the Exclusionary Rule is a legal principle in the United States, under constitutional law, which holds that evidence collected or analyzed in violation of the defendant’s constitutional rights is sometimes inadmissible for a criminal prosecution in a court of law. The exclusionary rule may also, in some circumstances at least, be considered to follow directly from the constitutional language, such as the Fifth Amendment‘s command that no person “shall be compelled in any criminal case to be a witness against himself” and that no person “shall be deprived of life, liberty or property without due process of law”. The Exclusionary Rule is grounded in the Fourth Amendment and it is intended to protect citizens from illegal searches and seizures. The exclusionary rule is also designed to provide a legal remedy and disincentive, which is short of criminal prosecution in response to prosecutors and police who illegally gather evidence in violation of the Fifth Amendment in the Bill of Rights compelled to self-incrimination. The exclusionary rule also applies to violations of the Sixth Amendment, which guarantees the right to counsel. First, and most important, to protect privacy interests of individuals against unreasonable governmental intrusions; second, to deter the police from acting unlawfully in obtaining evidence; and third, to preserve the dignity of the judiciary by refusing to consider evidence which has been obtained through illegal means. Here, reasoned the Court, excluding the evidence served the third objective of preserving the dignity of the judiciary by refusing to consider evidence obtained through illegal means. Here, a police officer’s unwitnessed late night execution of a search warrant in this case clearly violated CrR 2.3(d), called the reliability of his inventory into question, and could not be remedied other than by suppression. My opinion? Great decision. Kudos to Division III for following the law.